At Perfect Smiles Dental Care, we partner with Care Credit Financing to help you get the dental care you need, when you need it. A Care Credit medical credit care gives you and your family a payment option for your healthcare expenses. CareCredit offers special financing and low monthly payment options, no up-front costs and no prepayment penalties so you can experience the dental care you deserve. 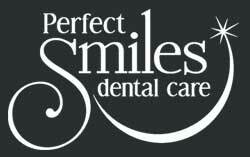 Allow Us to Help You Receive the Smile You Deserve! Need to make a payment ? Click the button below to visit the Care Credit website.